A consortium that includes Singapore Telecommunications, Sunil Mittal-led Bharti Airtel and private equity firm Warburg Pincus is looking to buy almost 61% stake held by the family of Zee founder Subhash Chandra in their direct-to-home television business Dish TV, several persons in the know told The Economic Times. The consortium will also bid for an additional 26% stake through open offer, said the report. Besides, Airtel’s digital TV business, which is operated under Bharti Telemedia, will be consolidated with Dish TV in a reverse merger, the report added, citing the people mentioned above. The consortium will have to shell out an estimated $1.15 billion (almost Rs 8,000 crore) for the entire 87% stake, the ET report added. Singtel and Warburg Pincus will likely invest the most in the merged entity as Airtel is heavily in debt, the report stated, citing one of the persons mentioned above. 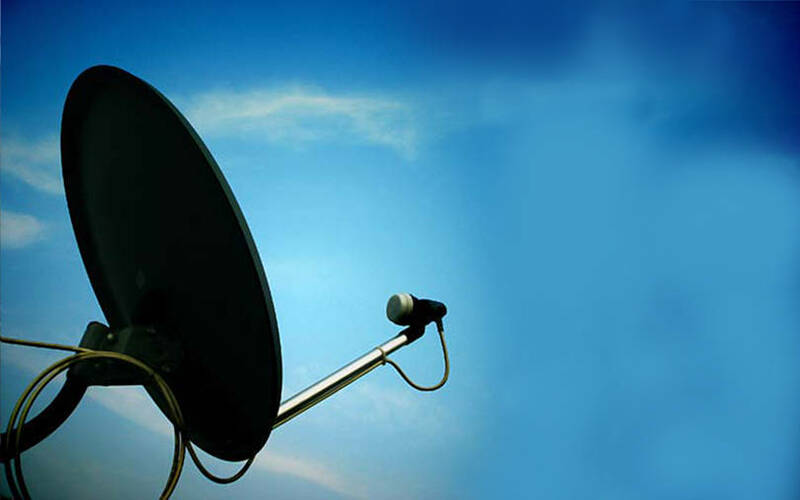 “The negotiations (for Dish TV) are around the valuations, with an expected offer at over Rs 50 a share for the promoter stake,” the ET report said, citing one of the people mentioned above, adding that the deal is expected to be completed in two months. Since the consortium will own more than 75% stake, which is the maximum promoter shareholding allowed in a company, in the merged entity, it will be given a year to decrease its holding to the permissible limit, the ET report added. Chandra has also been looking to sell stake in Zee Entertainment Enterprises Ltd in order to pare the debt of its holding firm the Essel Group, which is stands at Rs 17,174 crore, ET reported. Chandra recently turned down a bid from Japan’s Sony Corporation over valuation differences. In another development, home appliances and furniture rental marketplace Rentomojo is in talks to raise $40 million (Rs 275 crore at current exchange rates) in a new funding round from new and existing investors, two people privy to the development told business daily Mint. Japan’s GMO Venture Partners will come on board as a new investor while existing backers Accel, Chiratae Ventures and Bain Capital Ventures will put in money, the report stated. Investment bank Jefferies Group has been mandated to advise Rentomojo on the funding round, Mint stated, citing one of the persons mentioned above. It will use the capital to expand its operations in more cities across country and to strengthen its existing business, the report added. Rentomojo was founded in November 2014 by IIT Madras graduates Geetansh Bamania and Ajay Nain. The startup allows users to rent furniture, home furnishings and appliances, and bikes for at least three months. In July 2017, it raised $10 million (Rs 64.3 crore) in a Series B round of funding led by Bain Capital Ventures and Renaud Laplanche, a French-American entrepreneur. Meanwhile, billionaire Ajay Piramal-led Piramal Enterprises Ltd and global alternative asset investment firm TPG are in the process of selling shares worth $1 billion in financial services conglomerate Shriram Capital, a report in The Times of India stated, citing several persons in the know. Private equity firm KKR and global pensions have elicited interest in the deal, the report added. Piramal owns 20% stake in Shriram, while TPG has 9% holding. The combined holding of both entities in the company values their stake at Rs 9,000 crore or $1.3 billion, the report said. TPG has mandated investment banks JP Morgan and Morgan Stanley to help sell off its stake, the ET report stated. The resolution professional of the National Company Law Tribunal has shortlisted Akashika Foods to revive the struggling packaged foods company Maiyas Beverages & Foods Pvt. Ltd, a report in The Times of India stated. Since Maiyas began its core business in 2012, it has been bleeding heavily and the business came to a head in 2018 when the firm’s promoter and chief Sadananda Maiya had a falling out with one of the company’s private equity investors Peepul Capital. The plan to save Maiyas was the attempted efforts of a number of stakeholders of the firm, including MTR Foods—founded by Maiya—Haldiram’s Kamal Agarwal, Akashika Foods, and a consortium of employees, vendors and distributors of Maiyas, the TOI report stated. Peepul Capital, founder Maiya and Guiltfree Industries, the fast-moving consumer goods company of the RP-Sanjiv Goenka Group had also submitted bids but were not part of the process of the resolution plan, said the report. The revival plan was initiated by a committee of creditors led by Karnataka Bank, which has exposure of about Rs 75 crore in Maiyas, the report added. According to TOI, Maiya withdrew from the resolution bidding process to avoid legal issues. Sudarshan Maiya, Sadananda Maiya’s son, told the newspaper that he will support Akashika Foods. After the tussle with Peepul Capital, Maiya stopped working on the day-to-day operations of the firm. The fall out began in 2017 when he refused follow-on capital and said he would leave the firm. Peepul and Ascent Capital held 42.5% and 41% stake, respectively, in the company. Maiya’s family had founded MTR Foods before selling it to Norway’s Orkla in 2007. He had used the proceeds from this sale, including Rs 60 core to set up a manufacturing unit in 2012.